The Department of Defense’s Cyber Risk Management Framework (RMF) is meant to ensure that deployed mission capability is able to perform the mission, without malicious cyber interference in the workings of the system. A program’s objective is to achieve authority to operate (ATO) at the lowest possible cost with the lowest possible time delay, because safe cyber operation isn’t the mission objective, but instead a mission requirement. 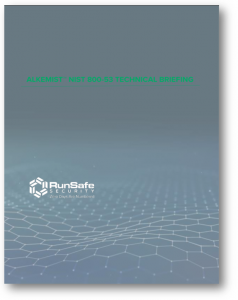 Systems running firmware, apps and OS protected by RunSafe Security’s Alkemist are better able to document their compliance with RMF (DoDI 8510.01) which incorporates NIST 800-53. Download this whitepaper to learn how. © Copyright 2019 RunSafe Security. All Rights Reserved.